401k rollover to IRA can be taxable, but it may not be depending on exactly how this transfer is handled. In addition, expensive penalties may apply if you are below fifty nine and a half years old and you receive any of the funds before they are placed in either a Roth IRA account or traditional IRA. Whether you have a traditional IRA or the Roth version does make a difference in the tax liability. 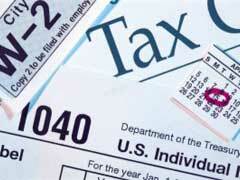 Traditional IRA accounts use pre tax dollars, and no tax is paid until the funds are withdrawn. A Roth account works backwards, so that the taxes are taken when the money is earned, and your withdrawals during retirement are tax free. This can complicate a traditional 401k rollover to IRA in a Roth version. A 401k rollover to Roth IRA may need to be done as a two step process. This type of 401k rollover to IRA has special tax considerations, because the 401k was not taxed originally. This conversion process is an event with tax consequences, because taxes on the amount must be paid when the transfer occurs. A direct rollover, where the account funds are directly transferred one administrator to another and do not go into your hands, is not taxable unless it is from a traditional account to a Roth account. A third party administrator 401k or other plan type can offer direct rollovers to avoid any tax consequences. Small business 401k plans allow a 401k rollover to IRA just as well as larger plans. There are two sides to the argument over IRA vs 401k, and each account type has benefits and drawbacks. The flexibility of an IRA is attractive, because you can change employers without having to change accounts. If a 401k rollover to IRA is not done carefully using a direct transfer though, you could find that you owe a substantial amount in taxes. 401k Contribution Limits - How Are They Determined?